Providing you with Groceries, Camping Supplies, Beach Toys and Hot Coffee Since 1994! 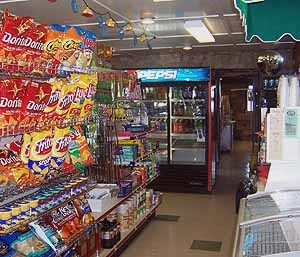 The Camp Store provides groceries, ice, cold beverages, novelty ice cream, camping supplies, beach toys, clothing, hot coffee and more! The Camp Store opens the Wednesday before Memorial Day Weekend and closes in October on Columbus Day.